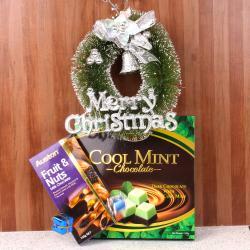 Product Consist : Snow Man Made of Jute Holding Banner of Feliz Navidad along with Rosscco Coolmint Chocolate Box (Weight : 130 Gms) and Aston Fruits and Nuts (Weight : 100 Gms). Enjoy browsing our very large range of Christmas Presents - there is something for all ages. 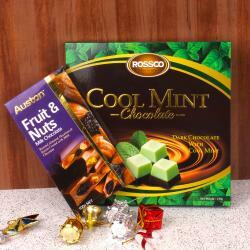 This one Gift Hamper is one of the best hamper of our collection. This hamper comprised with a marvelously crafted Jute Made Snow Man Holding Banner of Feliz Navidad. Feliz Navidad Means Merry Christmas in Spanish language. Elight your dear ones with Timtam chocolate pack too. 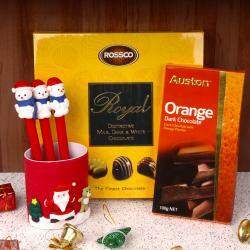 So, why are you waiting for order now this Christmas Gift and surprised your dear ones in India. 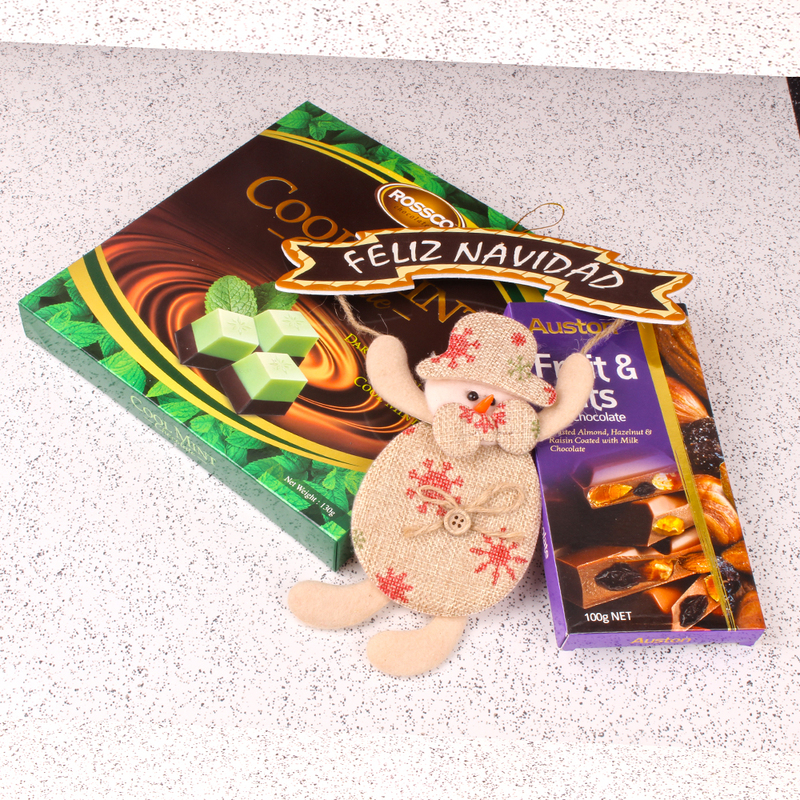 Product Consist : Snow Man Made of Jute Holding Banner of Feliz Navidad along with Rosscco Coolmint Chocolate Box (Weight : 130 Gms) and Aston Fruits and Nuts (Weight : 100 Gms).